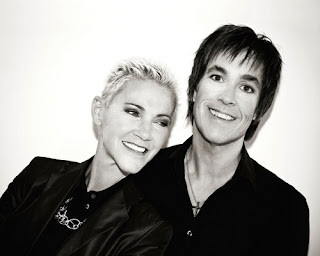 Roxette's video for comeback single "She's Got Nothing on (But the Radio)" has finally arrived! Party song gets party video, video of some pretty wild party that probably you visited yourself many times and will visit again and again. The same with Roxette's video, nothing completely new but hey they're back! Isn't it just great to see Per and Marie singing and smiling together? We enjoy it and recommend it to you. Don't forget that Roxette's world tour starts in February and maybe you've got a chance to see them alive, enjoying the show and singing along this and many other Roxette's songs in your city arena, check here. Great video! Nice to se Marie and Per together again!